Determined Eaton teenager Alastair Barrows has raised more than £2,132 in memory of his dad who died tragically when Alastair was a toddler. 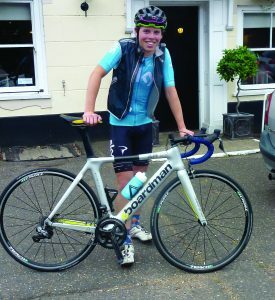 Alastair, 17, successfully completed a 301-mile overnight sponsored bike ride on his second attempt. Donations from the feat will go to the Meningitis Research Foundation (MRF) in memory of Andrew Basil Barrows, who was taken ill on Christmas day in 2002 and died two days later, aged 47. He was later found to have died from pneumococcal meningitis. Alastair, whose mum Victoria MacDonald runs The Cellar House pub in Eaton, hopes to raise £5,000 for the charity to help stop other families suffering. 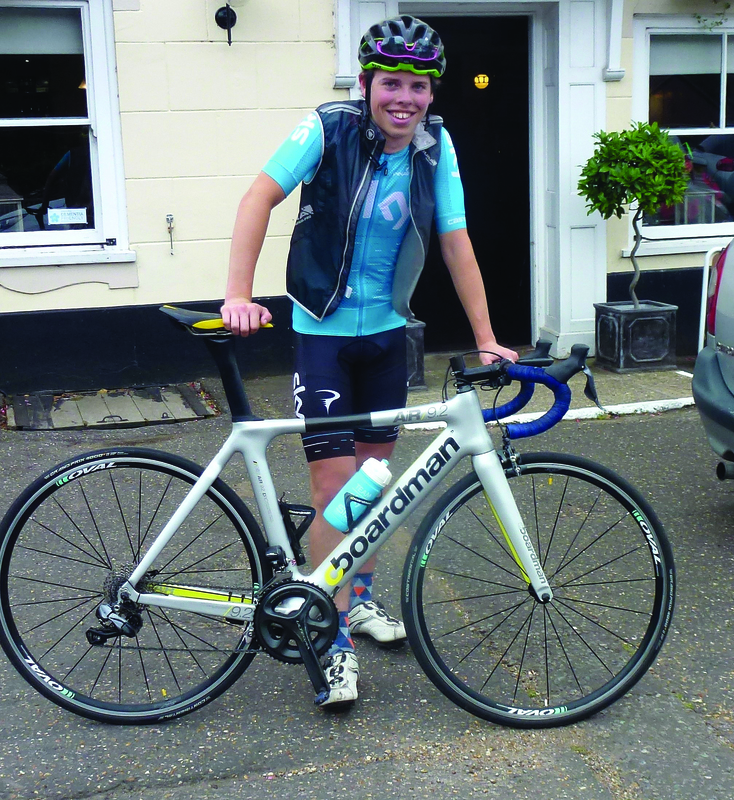 He and fellow Hethersett Velo Club member Rodney Arbon set off from Hethersett and cycled to London, then to Dunwich and back to Hethersett on a route known as the Dunwich Dynamo. Alastair had tried the same route two years ago but was so exhausted after 230 miles that he collapsed into the support vehicle and abandoned the attempt. But this time, hindered only by two punctures early on, he was delighted when he and Rodney sailed past the exact spot where he had previously given up. Some 28 hours after setting out – 20 hours and 15 minutes of which were spent in the saddle – the pair arrived back in Hethersett but first had to complete five laps of the village during which, fired by adrenalin, they managed to average 18mph, their fastest pace of the whole marathon. Next month Alastair will be back at the City of Norwich School beginning the final year of his A-level studies after which he hopes to gain a place at a conservatoire to study technical theatre. Anyone who would like to support the cause online can do so via Alastair’s Justgiving page: https://www.justgiving.com/fundraising/Alastair-Barrows1 or look out for his collecting tins scattered in local venues, including The Cellar House. This entry was posted in Eaton & Cringleford, Home Page and tagged Alistair Barrows, City of Norwich School, Hethersett Velo Club, Meningitis Research Foundation, The Cellar House pub on September 4, 2017 by Gay Webster.